As the project has come to an end on the 30th of June 2015, this website is no longer updated. The project would like to thank NWO and Leiden University, especially the LIAS for their support. Buddhism has a reputation in the modern West as a tradition of peace and justice. It is this romantic prejudice that leads to consternation when confronted with vivid, inescapable scenes of Singhalese Buddhists making war on Tamils, the Burmese junta shooting down monks, or Thai families selling their daughters into sexual slavery. We understand such things as injustices, just as we see racial or gender discrimination as unjust. And as we struggle to understand how such actions could coexist with Buddhist ideals, we wonder what our incomprehension says about our ability to understand historically Buddhist societies of Asia. The current NWO project explores key aspects of the historical roots and present-day situations of Buddhism and historically Buddhist societies in Asia through the lens of social justice, precisely through questions of the relation between Buddhist ideas and ideals on the one hand, and the realities we discover in Buddhist societies on the other. In these societies, inequalities, prejudicial discrimination and exploitation are every bit as present as they are anywhere else. Therefore, it is not a serious scholarly question to ask why Buddhists do not uphold the ideals of their tradition. What is interesting, however, is the question of how the dynamic tension between ideal and practice is negotiated in historically Buddhist societies, that is, in Asian cultures heir to the legacy of Buddhist teachings and practices. While much investigation and thought has gone into exploring how Western (predominantly Christian) societies create and negotiate their moralities, from Israelite days to the present, very little comparable work has been done in Asian Buddhist cultures. Our project seeks to address this lack through simultaneous, conjoined investigations of both Buddhist ideologies, based on scripture and developed over the centuries by great thinkers, and social practices engaged in, encouraged, or discouraged, by Buddhist institutions and individuals. The applicant’s work explores the Indian background of Buddhism, the fount of all later tradition, focusing on questions of labor, especially slavery, and caste. This provides the pivot around which revolve the other projects, which by engaging the interaction between theory and practice refer back both historically and conceptually to the Indian sources of all Buddhist traditions. One of the key questions we seek to answer is how Indian sources (themselves multiple and diverse) have been appropriated and transformed as the tradition spread. Four satellite projects coordinate symbiotically with the applicant’s research, and among themselves. These projects deal with medieval Korea and the slaveholding of Buddhist monasteries, exploring this almost completely ignored aspect of Korea’s past, the roots of discrimination against burakumin (‘outcastes’) in Japan, monastic regulations and their influence on justice inside monastic institutions and in relations with the outside world in pre-modern and modern Tibet, and the roots of hierarchy and Buddhist identity in Sri Lanka. 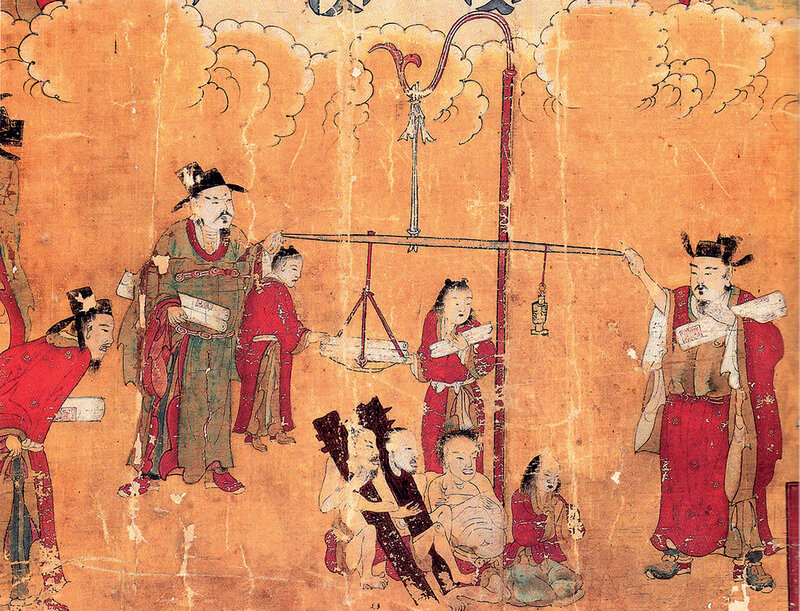 The dual focus on (unfree) labor and economic exploitation and social status frame and provide the evidence for broader conversations about the role of the idea of karma and conceptions of personal identity (‘self’) which appear to have played a significant role in shaping Buddhist attitudes. The overall theme of ‘Buddhism and Social Justice’ is nothing other than the question of freedom and justice, and the relationship between them, which rests in local economic and social contexts. We therefore aim to challenge commonly held notions of Buddhism as largely defined by and virtually embodying a path to liberation. Simultaneously, we aim to ascertain the inner dynamics of Buddhist traditions as they mold, and are molded by, their social environments. ‘Buddhism and Social Justice’ therefore both highlights the tension between historical reality and scripturally expressed ideology and reaches beyond, drawing a picture of a Buddhism simultaneously part of, structured by and challenging its social environments.